Melville, NY — Canon U.S.A. Inc., a leader in digital imaging solutions, today announced the launch of a new addition to the Cinema EOS System: the CN-E20mm T1.5 L F lens – a full-manual 20mm Cinema Prime Lens for EF Mount cameras. A popular focal length, the 20mm lens delivers exceptional optical performance in a compact form factor. With the introduction of this new lens, Canon further enhances its EF Cinema Lens family to meet a diverse range of cinematic and video-production needs, further contributing to the world of cinematography. 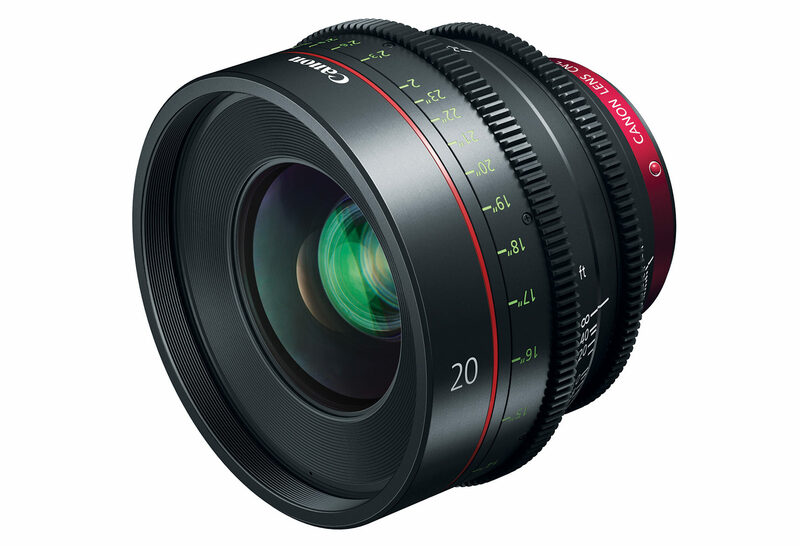 The new CN-E20mm T1.5 L F lens can provide 4K resolution from the center of the images to the periphery, providing high image quality for Canon cameras that feature full-frame sensors such as the new EOS C700 FF digital cinema camera. In addition, the 11-blade aperture diaphragm alongside a T number1 of 1.5 allows the lens to provide beautifully soft bokeh. 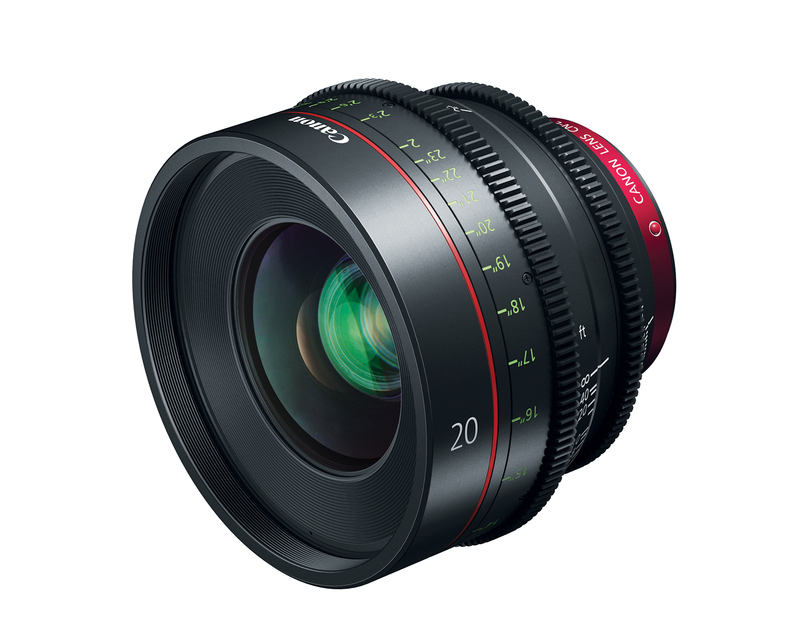 Like all Canon Cinema Prime lenses, the CN-E20mm T1.5 L F lens features warm, natural-looking tones, 300 degrees of focus ring rotation, and minimized focus breathing. Since the launch of the Cinema EOS System and EF Cinema Lenses in November 2011, Canon has greatly expanded the EF Cinema Lens offerings. The lineup—which includes the Prime, Zoom, Compact Zoom, CINE-SERVO and COMPACT-SERVO series of lenses—has become very popular for a wide range of users. With the introduction of the CN-E20mm T1.5 L F lens, the lineup now boasts a total of 21 lens models. This expansive line of lenses provides cinematographers with even more options to choose from, which can support enhanced content creation for a variety of uses and shooting scenarios. The CN-E20mm T1.5 L F lens is scheduled to begin shipping in fall 2018. For more information please visit usa.canon.com/provideo. Canon U.S.A., Inc., is a leading provider of consumer, business-to-business, and industrial digital imaging solutions to the United States and to Latin America and the Caribbean markets. With approximately $36 billion in global revenue, its parent company, Canon Inc. (NYSE:CAJ), ranks third overall in U.S. patents granted in 2017† and is one of Fortune Magazine’s World’s Most Admired Companies in 2018. Canon U.S.A. is committed to the highest level of customer satisfaction and loyalty, providing 100 percent U.S.-based service and support for all of the products it distributes in the United States. Canon U.S.A. is dedicated to its Kyosei philosophy of social and environmental responsibility. In 2014, the Canon Americas Headquarters secured LEED® Gold certification, a recognition for the design, construction, operations and maintenance of high-performance green buildings. To keep apprised of the latest news from Canon U.S.A., sign up for the Company’s RSS news feed by visiting www.usa.canon.com/rss and follow us on Twitter @CanonUSA.